It's back again. I'm keeping the rules the same as last year, again using a checklist. Some categories have been changed, however. To participate, you must read a minimum of five memoirs from any of the categories listed. One book can only count for one category. Re-reads are acceptable. You do not need a blog to participate. All book formats count. Books must be read on or after January 1, 2019 to count. Challenge runs from January 1 to December 31, 2019. Books must be labeled as memoirs to count. So glad you are running this again. 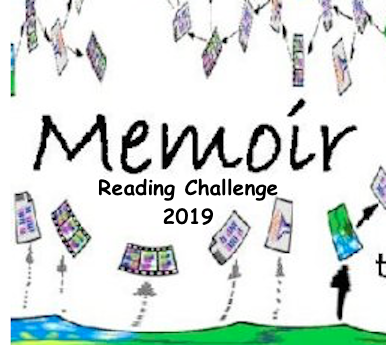 I still have plans to read several more memoirs before the end of the year, but I did read 5 so far this year.I hope to read even more next year.